Many people remain unsatisfied with the results of yoga because they don't know they'e doing it all wrong. So, ahead of the International Yoga Day, it's time to get your facts right about yoga and then you can be on your way to energize your body and soul. Yoga, with its plentiful benefits can help you alleviate stress, reduce risk of life-threatening diseases and even help you feel better by preventing hair loss and increasing your height. But many people remain unsatisfied with the results because they did their yoga wrong. So, ahead of the International Yoga Day, it's time to get your facts right about yoga and then you can be on your way to energize your body and soul. Forcing and pushing is not natural in yoga, it can damage your muscles and bones. For example, don't force your body to bend while you perform the uttanasana if you are initially unable to touch the ground. Gently ease your body into its maximum stretching ability. Wearing a strong perfume or deoderant can be a distraction if you are trying to concentrate on something as abstract as your inner feelings and spirit. Avoid using any. Don't do yoga directly on a cement or mortar floor. The hard surface may harm your body. Use a mat, carpet or blanket. Rushing from pose to pose defeats the purpose of mindful awareness and conscious breathing that is crucial to yoga. Allow your body to move from one asana to the next without haste. 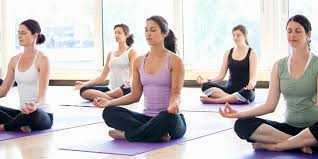 Weight lifting, sprinting or any other strenuous exercise is not encouraged to be done immediately after your yoga routine as too much tension to your body can damage it. Don't suppress the need to cough, sneeze or use the bathroom while doing yoga as forcefully holding yourself from doing these involuntary actions can put undue pressure on your internal organs. Make sure that you know well how a particular pose is to be done. Also, since every asana has a specific benefit, know the changes it will bring to your body before performing it. Take a 2 hour break after breakfast and at least a 3 hour break after lunch before doing yoga as the bending and stretching can cause vomiting, nausea and cramps otherwise. Lay on your back for 2-5 minutes in the savasana pose after completing your yoga routine, to allow your body to relax. Wait for at least 30 minutes to drink water after performing your yoga practice. Imbalances and falls are common when you are performing yoga asanas. Just get up again and try to do the asana better this time.